Container gardening… the act of planting a garden in some sort of vessel not directly in the ground, is as old as civilization itself and as widely spread. It purportedly was started with the creation of urban areas, where its citizens wanted to emulate the beauty of their rural homes, or grow plants for medicinal or nutritional reasons. Container gardens include but are not limited to: window boxes, hanging baskets, potatoes bales, raised beds, roof gardens, green walls. They can be placed on walls, roofs, floors, vertically and horizontally. Its uses are only limited by ones imagination. 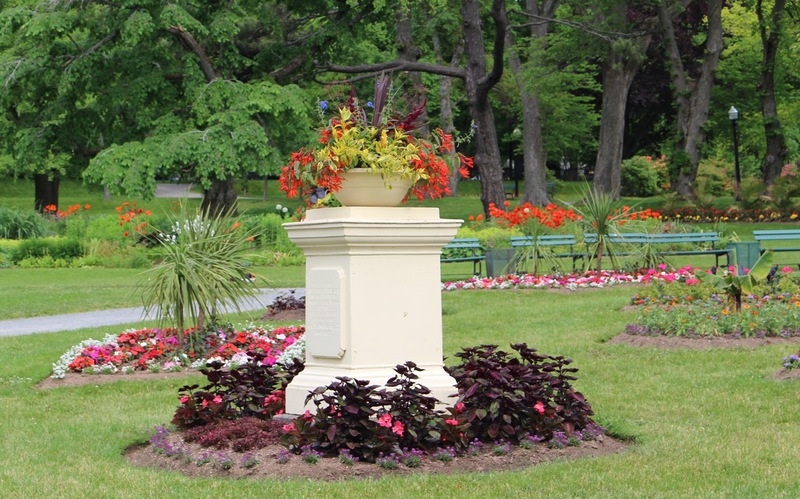 The Public Gardens have many container gardens. Hanging from posts, gracing the tops of the balusters on both bridges and in raised beds by the main gates. According to gardener Tracy Melvin-Jessens, the choice of plant material is ultimately the decision of the Horticultural Supervisor with input from the crew chief. They take into account what has worked in the past and add something new to the mix. The site requirements are always a priority. 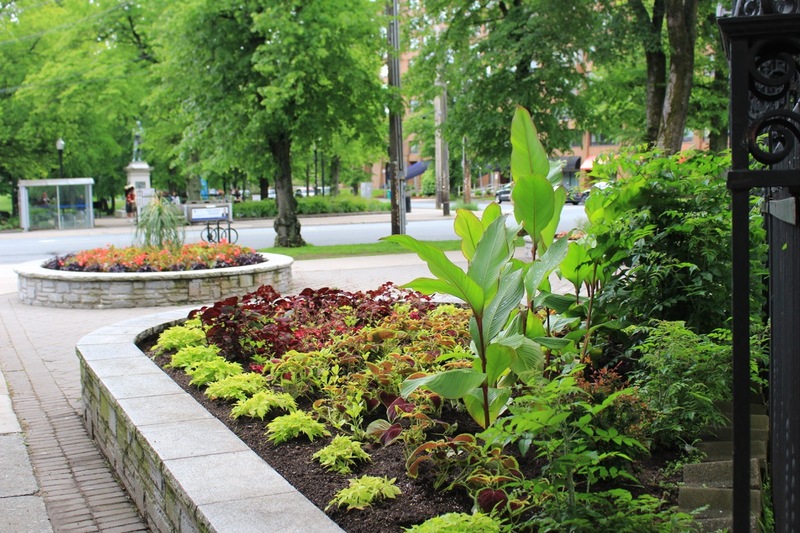 This year window boxes have been added to the new arbours by the Victoria Jubilee Fountain. …into this (though this is last year’s planting). Chosen plant plugs are inserted into the planting medium and hand watered every day. Later in the season when the plants and their roots are at their maximum size, a soluble fertilizer is added to the water every couple of weeks to supplement the depleted slow release pellets. 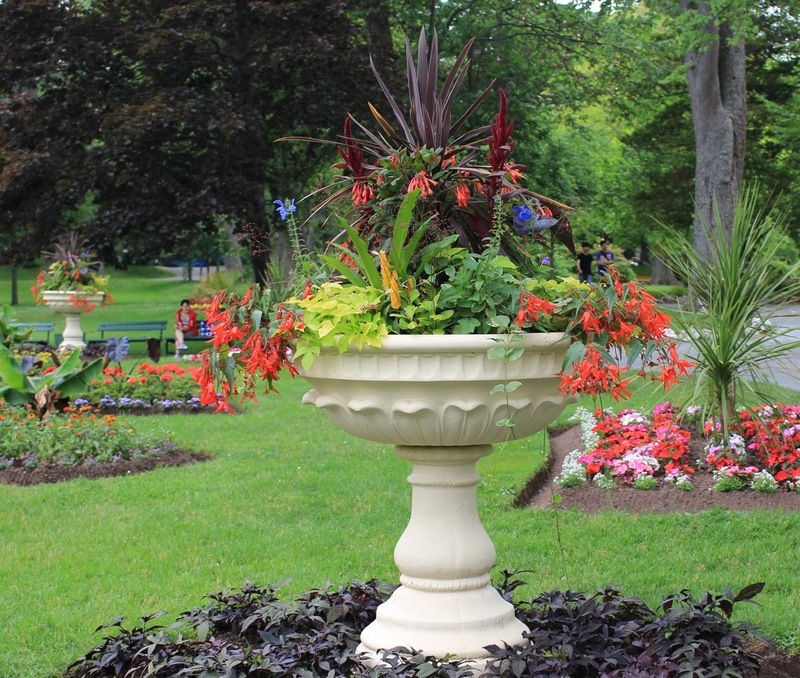 The plants used in this years raised beds outside the main gates, mimic last years with the exception of common impatiens (Impatiens walleriana). This plant has been suffering from downy mildew disease in North America and in the UK and production has been limited to try and contain the disease. New Guinea Impatiens (Impatiens hawkeri) a variety not susceptible to the disease are being used instead of the common variety, though these are more expensive. Plant material can be changed in containers as the season progresses, making it an ideal all season garden. 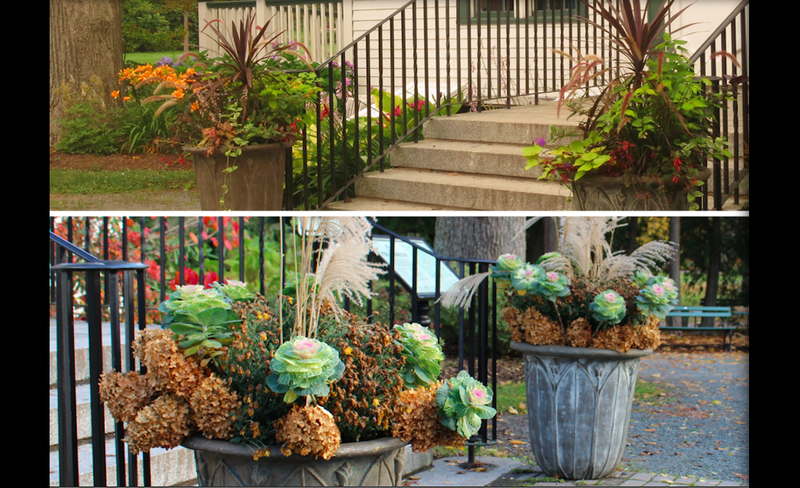 Last year’s containers by the entrance to Horticultural Hall was given a make-over for the fall. The colours of the ornamental cabbage (Brassica oleracea) become more vibrant when the temperatures are cold. 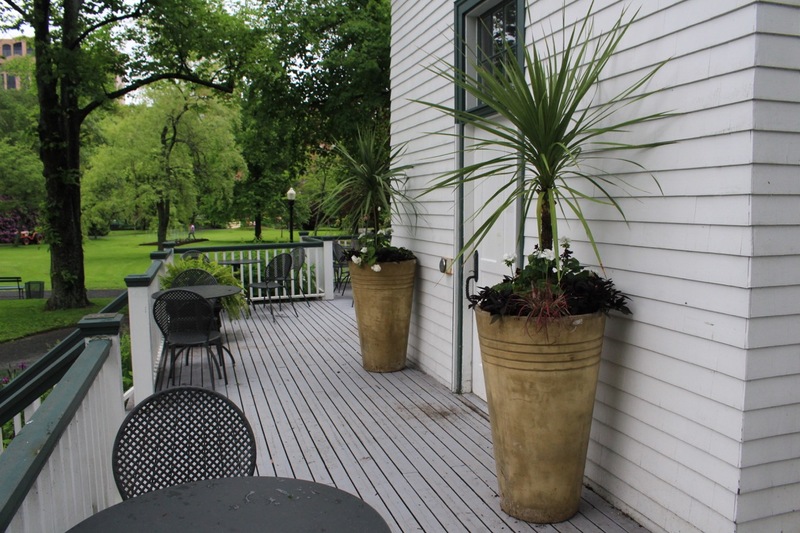 A couple of years ago, the gardeners started putting containers on the outdoor deck of the Uncommon Grounds cafe, making a lovely spot even lovelier. One of my pet peeves is the lack of plant material in the outdoor terraces of restaurants around the city. Things are changing, but it’s an idea that’s been slow to catch on in the Maritimes. Some containers may surprise you. This one is made of plastic and was spray painted the same colour as Diana’s empty pedestal managing to hide her absence. A temporary though clever solution. Still on the subject but changing location, this container garden moved me to tears. 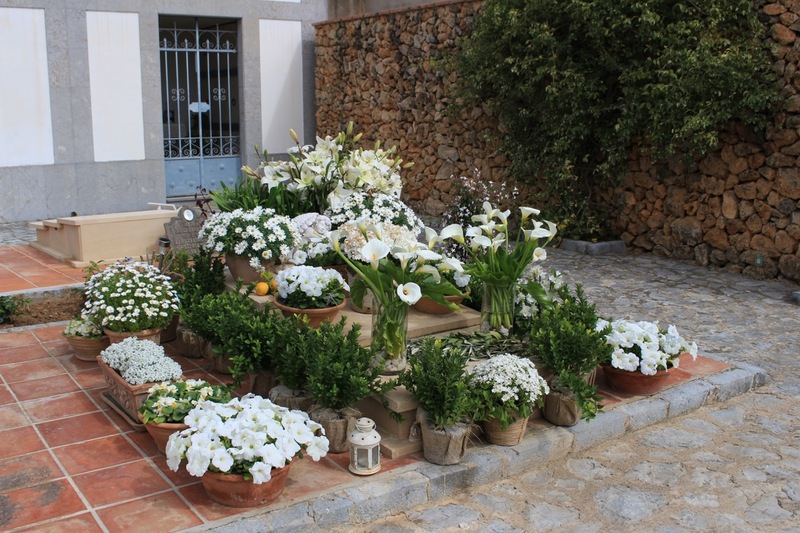 It was arranged around a tombstone in Mallorca. Someone created a beautiful white garden in containers including solar lights, wind chimes, fruit, scented flowers, chalk drawings and messages scattered throughout. I visited this beautiful cemetery many times (it contains a gorgeous garden) and this plot was always tended. Someone is very loved and missed. 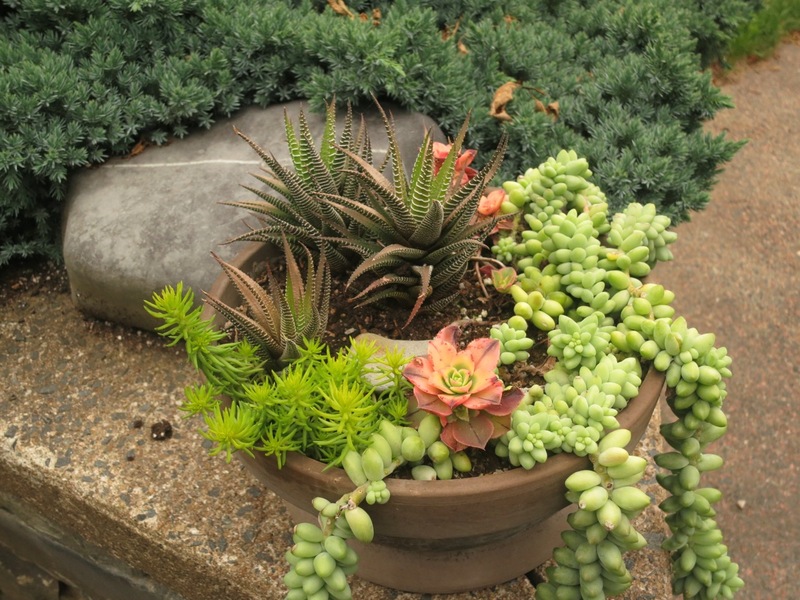 Container gardens don’t have to be planted with flowering plants. I love creating miniature gardens using succulent plants. I bring the pot inside for the winter. 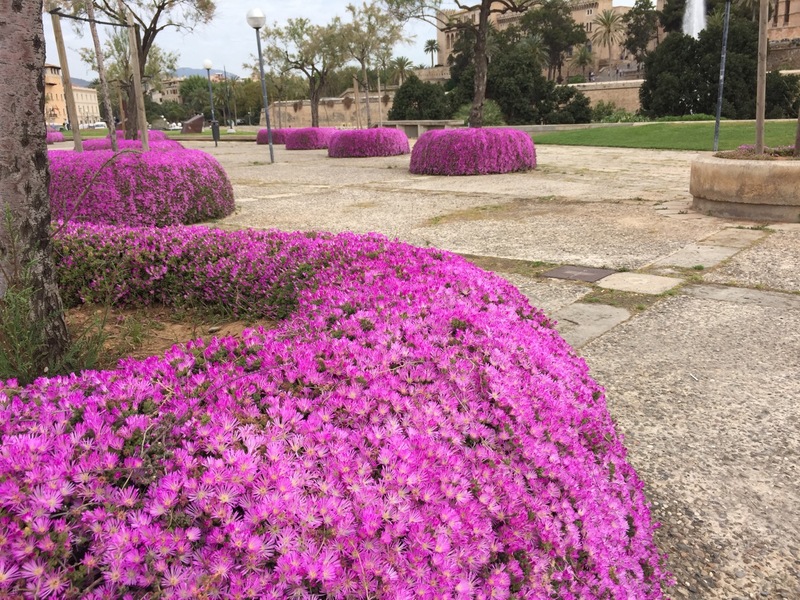 These simple raised beds planted with mat forming succulent Hottentot Fig (Carpobrotus acinaciformis) make a stunning display in spring in Palma de Mallorca. Nobody does it better. If you’re looking for inspiration the UK does container gardening at an ubber level. 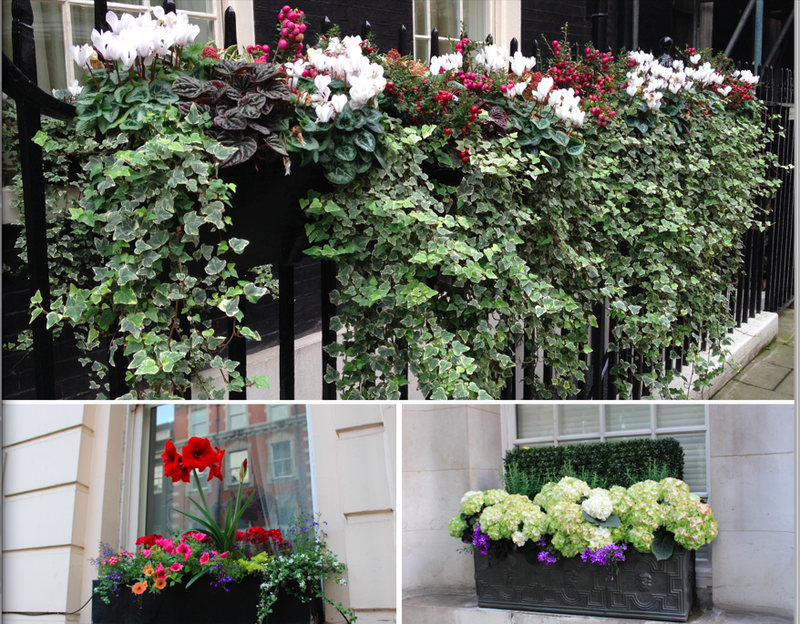 One of the joys of walking around London is seeing the variation in container gardens to be found everywhere. Irrigation systems are widely used in difficult to reach places. 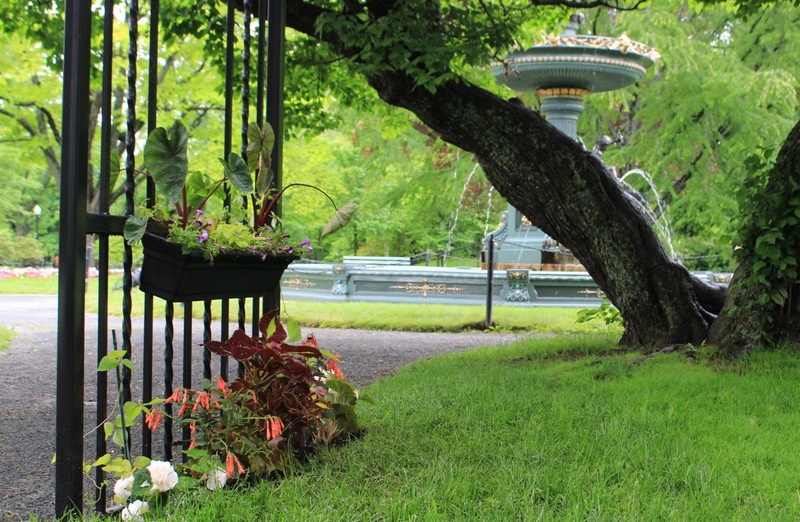 If you’d like to see how the containers are planted at the Halifax Public Gardens check out this video courtesy of HRM. There are lots happening at the Gardens and with the sunshine and warm weather we have been experiencing of late, things are growing in leaps and bounds. Check out our Calendar of Events for a full listing of events. Hope to see you at one of my tours on Wednesdays at 10AM. It’s free and it’s beautiful! All copy and images copyright © Serena Graham-Dwyer, 2014-2015. If you wish to use any part or whole of an image, in any manner, please contact us. 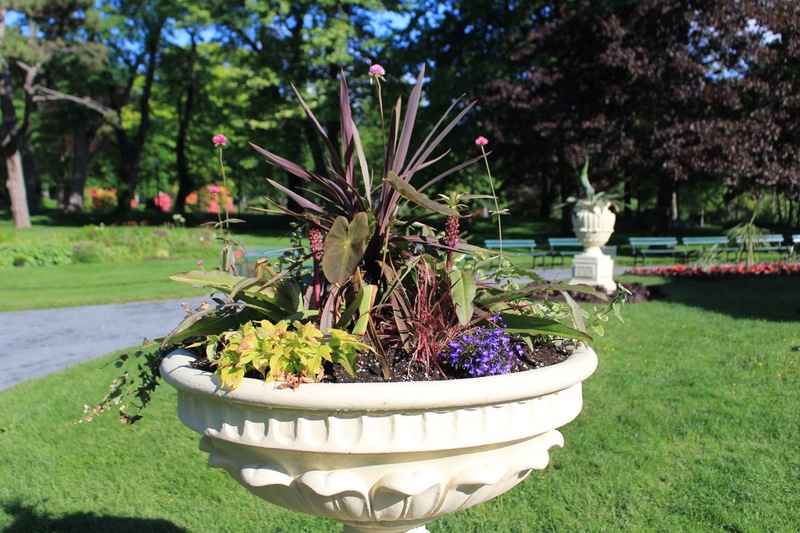 This entry was posted in beyondthegardens, Container gardening, Flowers, Halifax Public Gardens, photo tour and tagged beyondthegardenspath, containers, Impatiens, ornamental cabbage, urns by friendsblog5665. Bookmark the permalink.